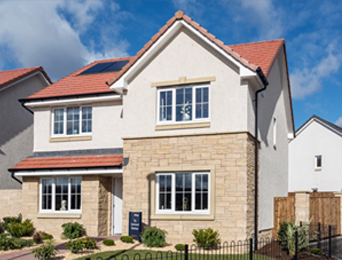 As the UK’s 4th largest housebuilder, Bellway are experts in successfully promoting strategic land to achieve the right planning permission, and maximise its value. Bellway actively seeks to collaborate with landowners of greenfield and brownfield sites with a view to building quality homes and creating thriving communities, in areas of identified housing need. With the Government’s aim to deliver 300,000 new homes per annum, working with a well-known, reputable and successful housebuilder is a key consideration for landowners to ensure that planning prospects for housing on their land are maximised. In the financial year 2017-18, Bellway built a total of 10,307 homes, generating a Group revenue of £2.96 billion and an operating profit of £652.9 million. Additionally, Bellway’s dedicated strategic land function facilitates ongoing investment in good quality and sustainable land nationwide; the business has a large number of strategic land holdings that are currently in progress, with a positive planning status for around 8,100 new homes, and has access to a wealth of experience and resource to enable the promotion of sites either though the forward planning system (the Local Plan or Neighbourhood Plan), or via a planning application. As a major PLC housebuilder, Bellway has the financial capability to appropriately invest in the promotion of sites in a rigorous, proactive and assertive manner to achieve the ideal outcome. The business bears the cost of promoting land at its own risk. Bellway actively seeks to continue the significant expansion of its strategic land portfolio, and welcomes enquiries from all landowners with land that has housing development potential. As an HBF 5 star home builder, Bellway cares about the legacy of the communities that it helps to create, which begin at the development planning process. Bellway is an advocate of positive engagement with the community as the best means to obtain planning permission at the local level, with the necessary assertiveness and scrutiny to future-proof a planning case for an appeal situation. Across all of its sites, Bellway employs experienced consultancy teams that demonstrate clear expertise in their disciplines, and have strong local knowledge and contacts to support the successful promotion of land – with a view to securing planning permission, and delivering quality housing, as swiftly as possible.